mm Shanghai: mediaman is predominantly known as a traditional digital marketing agency. But you consider it is to be more than this, right? 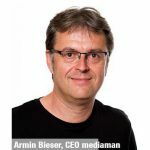 Armin Bieser: Yes.Besides its daily agency business, mediaman is constantly looking for new challenges in form of developing digital products or independent business units. Basketly, for example, is one of our current digital projects. It is a device that makes finances tangible and more visible. The product is still at a prototype phase. We are searching for funding and financing partners and start first discussions now. The“Collegizer” is another example from the US. With this product, we want to connect high school students with future colleges and universities through innovative search and social tools.But Collegizer and Basketly are only two examples among others that we have started in an ecosystem inside and outside of mediaman. mm Shanghai: Could these products also be interesting for the Chinese Market?Are there any plans to bring them to China? Armin Bieser: I think that Collegizer would be interesting for the Chinese market. Within the next steps, we will see how the idea being developed in the US can be adapted to the Chinese market. If there are any approaches to extent the model and to get a better understanding of local demands that need to be connected to the tool. Another project I can imagine to be successful in China is MassUp, our new white-label plugin for standardized online sales of niche insurance products like iPhones and bicycles. We would first need to look at the Chinese distribution channels more closely. We need to proof how we can adapt the tool and how the Chinese market can assimilate it. mm Shanghai: Here in China, WeChat is a very big topic at the moment. The platform has more than 600 million active users and has started to become popular in other countries. What do you think about the development of WeChat? Do you think it will also be a topic in Germany or the US soon? Armin Bieser: When I’m in China and also when I want to keep in touch with my Chinese colleagues I use WeChat more often than WhatsApp. WhatsApp is always compared to WeChat; out of a German or European or American perspective. Of course, this app has a much smaller choice of features than WeChat. But still, I see many WeChat features also in Europe. They are just spread to many different tools. There are already a lot of payment solutions in Germany. And especially in the US, there are a lot of FinTech startups. Some of them offer very special features that can already provide use cases. The question is whether they will all come together in one master tool. You know, people are already familiar with existing tools and won’t switch to a new one so easily. If WeChat as a tool will penetrate Europe or if other existing tools will block it—only time will tell us that. mm Shanghai: As you just said: only time will tell. And I’m pretty sure that the future will provide many more technology advances. How does mediaman stay informed about tomorrow’s techniques and trends? Armin Bieser: We make sure to be at the locations where they talk about new topics. We visit international fairs, for example. Some of our colleagues attend the South by Southwest [SXSW – an annual group of film, interactive media, and music festivals and conferences] in Austin every year. They pass the new information on to the team. We definitely try to circulate knowledge in our agency. For this reason, we organize regular meetings like the “First Tuesdays.” Every first Tuesday of the month, our colleagues are asked to share their projects. This is very important as it lets us share new ideas with our customers and incorporate into their projects. The topic of Connected Cars with Mercedes Me, for example, is a very exciting project. We create a connection between the car and mobile devices including a responsive design. And this is only one example among others. When you go out and talk to other digital specialists you get even more inspirations and insights. 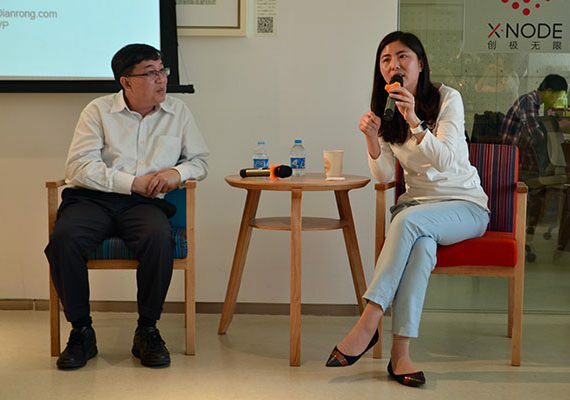 mm Shanghai: What tempts you and your colleagues from mediaman to constantly develop new ideas and to create new business segments besides the day-to-day business of the agency? Armin Bieser: I think that the classic service business will change. It already has. It has become more complex, significantly more complex than at the start up time of mediaman. Our agency’s DNA is very close to digital business. We know a lot about complexity or rather how to reduce this complexity to simple user experiences. This is a good base to develop business in the digital environment and also a necessity to reach the customer. The motivating factor therefore is the aim to build up a second main pillar for mediaman seizing new chances in the market of digital products. Besides this, there is always this fundamental curiosity. mm Shanghai: Are there any business areas which are particularly interesting for mediaman at the moment? Armin Bieser: Over the years, we have built a startup ecosystem outside of mediaman with our holding“assorted minds GmbH”. Besides our white-label platform massUp we talked about before, we have developed the two independent business units “Serienwerk” in Berlin and “neonbelt” in Frankfurt. Serienwerk is a young venture aimed at the development of serial storytelling in Germany. Viewers of all ages turn away from linear television towards the huge variety of Internet content. The new format of web-series, however, enables brands to position themselves on the market, call attention and establish long-term commitment by the viewer. neonbelt, furthermore, consists of a team of technologist and designer and is focused on digital projects. Together with neonbelt, we constantly develop ideas for digital products so that we always have enough ideas in the pipeline. Besides this, we will see if there are further opportunities resulting from cooperation between mediaman and its clients. New business models might originate out of ongoing projects so that we can develop them together with our partners or independently. And of course, we will come across coincidences that cannot be planned. And we will use them to try things out. Not every idea will survive but some will, for sure. mm Shanghai: Well, we are eager to hear about new mediaman projects in the future. Thank you very much for this interview.